When Fixation Brewing Co appeared on the scene late in 2015 and announced that it was going to brew and release nothing but IPAs, there was at least one voice from the beer world that piped up to say KAIJU! was already doing just that. And while the brothers Reeves might not have slapped the IPA tag on all of their beers, there's certainly an argument to be made for that case. 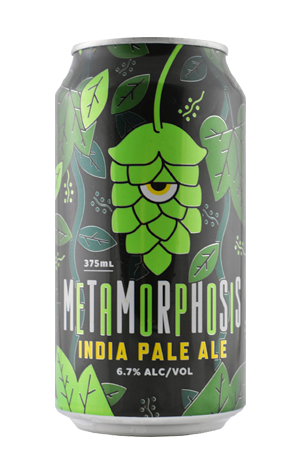 That said, it's the Metamorphosis that is the beer they regard as the most IPA of their beers, the junior in the ranks to their debut DIPA Aftermath. Another beer that uses an all American hop lineup, it's copper in colour, bordering on amber, and leads you straight into piney, woody hop territory before adding lime and bitter marmalade hop flavours to the mix. It's lean and tight yet with a persistent bitterness to satisfy hopheads.